Thanks to your feedback, Swimia has become in just several months one the most necessary internet sites of swimming pools. Here you've all the info we know about Hoar Cross Hall Hotel, in Burton-on-Trent. 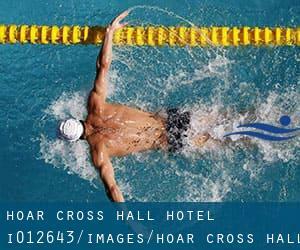 Don't forget you can also promote this pool so Hoar Cross Hall Hotel will appear the first of Burton-on-Trent, or even the very first of your country, contact us to know much more. Swimmers like you reported 26 meters x 10 meters, Salt Water, Indoors. Phone number and e-mail address are number for this Swimming Pool. If you believe that any on the information and facts is incorrect, please make contact with us. Assist us be better day-by-day. Centrum 100 Retail Park , Wellington Road , Burton - upon - Trent , England , UNITED KINGDOM (Postal Code: DE14 2WG). This sports centre offers 20 meters x 8 meters, Indoors. For this Swimming Pool, only phone number is number here. Middleway Park , Worthington Way , Burton - upon - Trent , England , UNITED KINGDOM (Postal Code: DE14 1NA). Swimmers like you reported 20 meters x 10 meters, Indoors. Unfortunately we do not have the email address of this Pool, but we can give you the phone number.